Every day, our Location Crew will rush out to shoot at various places for a programme based on a script. This process is just like “Ah Ma” (grandmother) shopping for ingredients for her secret recipe. In this video, you will see Kym Ng and her co-host Lee Teng searching for ingredients in “Ah Ma Can Cook”, while the camera crew shoots the best possible scenes for the show. "Ah Ma Can Cook" (阿嬷来做饭) is a new 13-episode cooking series that features one different Ah Ma every week. The featured Ah Ma will showcase her culinary skills and her speciality dish through fun and lively interactions with the hosts. For every episode, Kym Ng will pair with a guest male artiste to learn from the Ah Ma. While the Ah Ma cooks, the duo will observe her unique cooking patterns and habits. From this experience, they will have to take note of the secret ingredients and shop for the items. Each episode takes about 3 days of filming and each filming consists of 2- 3 camera and sound crew. This is the first time we recorded a full variety show using mainly the DVcam. Besides the DVcam, we also used a High Frame Rate Camera to capture Ah Ma’s cooking skills in slow motion. 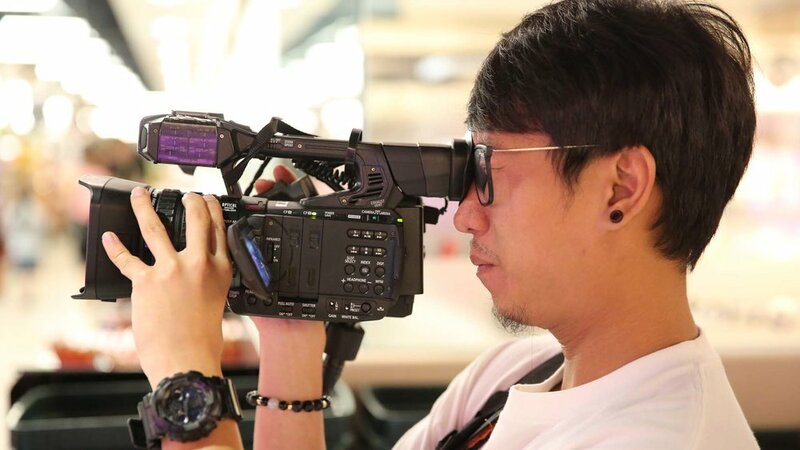 This High Frame Rate Camera provides the top-down view of Ah Ma’s cooking demonstration, enabling the audience to gain a better understanding of the cooking process. Catch “Ah Mah Can Cook” on Ch8, every Wednesday 8 pm. The show debuts on 13 Sept. You may also catch the past episodes on Toggle. Find out more about our Location Crew here. Older Post20,000 hours of editing for "Indian Beat!"